You don't need a sky-high heel to lift your confidence. 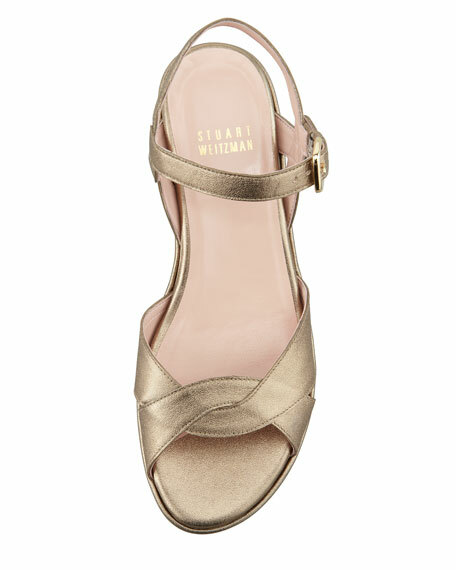 The Stuart Weitzman Lockness wedge shimmers in metallic leather but stays firmly grounded with a stabilizing flatform design. 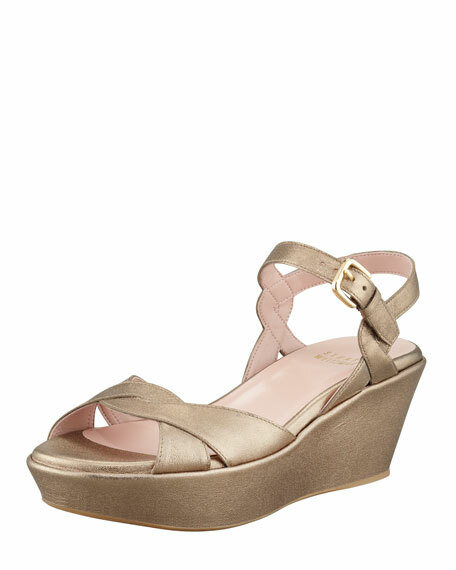 2 1/2" covered wedge heel, 1" platform. 1 1 /2" flatform equivalent. Adjustable buckled ankle strap overlaps back strap. "Lockness" is made in Spain.